For new managers, navigating the early traps and pitfalls can derail a team’s effectiveness. Ensure that your organization’s leaders are not falling for any of these five common mistakes. Download HCM Whitepaper: Top 5 Mistakes Experts agree that the first 90 days in a new role are the most critical. For new managers, this means navigating the early traps and pitfalls that can derail a team’s effectiveness. 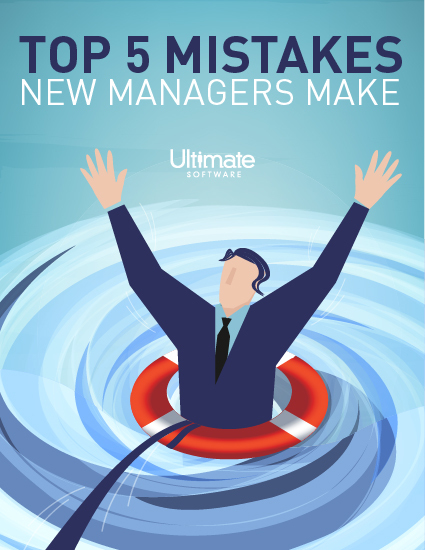 From micromanagement to unexpected recruitment snags, this new guide highlights some of the most common mistakes that plague new managers. It also offers effective footholds for managers to use when conquering the climb ahead. In this guide, we’ll analyze the top five mistakes new managers make, investigate each potential trouble source, and offer tips on how to avoid them. Please fill out this brief form to learn the mistakes new managers make.